Cleanses the eyes and face and removes make-up without the risk of irritation. Fluid milk texture enriched in moisturizing glycerine. Strict formula charter to minimise the risk of intolerance. High tolerance. FRAGRANCE-FREE - NO TENSIO-ACTIVE INGREDIENTS - PRESERVATIVE-FREE. Pat on, massaging in a circular motion, then carefully wipe off using a cotton ball, taking care not to rub. External use. 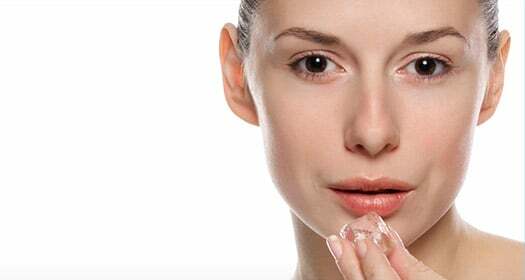 The skin is kept free of dehydration and irritation, and make-up is gently removed. Toleriane Dermo-Cleanser 400 ml is rated 5.0 out of 5 by 8. Rated 5 out of 5 by Oliver from truly gentle cleanser This is the only cleanser that I have tried that does not leave my extra-sensitive, rosacea-plagued skin painfully dry, flaky and red. I have been using it for many years and absolutely love it. Rated 5 out of 5 by mlwng from Gentle This is my second bottle of this stuff. I use it in the morning with Dermalogica Microfoliant. It's my holy grail combo. Rated 5 out of 5 by Lacani from So gentle but so efficient I have oily sensitive acne-prone skin with dry patches. It perfect for all types of skin. Removes make-up, easy to use, gentle on the eyes and leaves the skin hydrated. I have been waiting to find a product like this for a long time. Rated 5 out of 5 by ErikkA from the best Skincare Brand. Period. I’ve been using this line for 1 year now and it’s gotten rid of my dry patches, discoloration and keeps my pimples at bay! Definitely my forever skincare brand! Rated 5 out of 5 by Nonna Pat from My go to cleanser I have faithfully been using this for a good 6 years or longer. My skin glows and is so soft. Rated 5 out of 5 by Cmrn.rhi from My favorite - been using this for years! Very gentle, does not irritate my skin or eyes. It was recommended to me 7 years ago and I haven't switched cleansers since. It is very effective and leaving my skin but not super dry and tight. I find it removes sunscreen and make-up effectively (letting it "sit" on the make-up is very helpful in increasing effectiveness), though I also use an oil cleanser when removing heavy or waterproof makeup. Rated 5 out of 5 by cattail from Beautiful product I purchased another product for my daughter who suffers from stress acne and decided to try the Toleriane Dermo Cleanser for myself. Really nice cleanser and leaves your skin very supple and soft. Great price and very big bottle. Rated 5 out of 5 by Sarr c from Love the way it leaves my skin feeling I’ve never had a face wash that left my skin feeling amazing. Usually it’s tight and feels like my skin could break this leaves it feeling like my skin should feel. I let my sister try it and she’s been using it since!